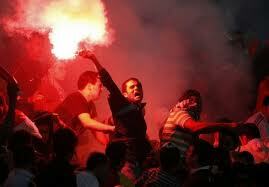 Egyptian Revolution becomes Egyptian Civil War? Arab Spring becomes Arab Fall? The Future of Egypt in the Prophecy of Isaiah. Hogue Egyptian Predictions. Predictions for 2013 and Forecasts for 2014. Egypt’s future is not good. My oracle has a few prescient thoughts before this article jumps into a look at biblical prophecies about Egypt’s future to see whether they are metaphors for contemporary biblical times and biases of the Hebrew Prophet Isaiah; or, they track the future unraveling of modern Egypt. Since February of 2011 when the Egyptian Revolution started in Tahrir Square, I have cautioned Egyptian readers that their rebellion would suffer a number of false starts requiring the return of a military dictatorship that to some degree would play referee to new revolutionary attempts to form a government. 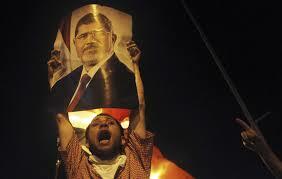 I also made it clear that Muhammad Morsi becoming president would be a major false start. My oracle will be a rare voice in America outside of the Egyptian majority that would defend the military’s difficult decision to oust the legally elected Morsi. It was done so because Morsi and his Salafist fundamentalist brethren consisting of the MB (Muslim Brotherhood) believed they had a mandate from God that was synonymous with a mandate of the Egyptian people, which is patently false. The MB won the election last year because the majority of secular and “leave my religious practices alone” mainstream Egyptians were sorely divided allowing a disciplined minority of voters to take the Parliament (Tea Party style, like the US House of Representatives) as well as take the presidency. Morsi then began running the country like a Caliph (Islamic pope) dictating his severe version of Sharia Law and making sure the constitution created was written by the MB. Any present and future attempt at a government and being president must LISTEN to the Egyptian peoples’ demand for jobs, for ending corruption and restoring Egypt’s main import for fueling their economy, tourism first. And second, mind your own business about religion. The MB regime was so unpopular that a petition of 26 million people reached the generals of the Egyptian Army inviting them to overthrow Morsi and his party running the Parliament. At least two thirds of the Egyptian people supported this overthrow. 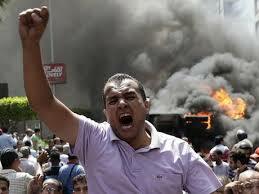 I predict you will not see a civil war erupt in Egypt like you see in Syria for a few simple reasons. First off, large elements of the Army will not mutiny like the Syrians because their officers do not belong to another sect of Islam. When Syrian forces began firing on the “Sunni” majority demonstrating the the streets, their “Alawite” officers and non-coms were ordering them to fire on their own “Sunni” Muslim citizens and extended families. Thus whole Syrian battalions defected to the Free Syrian Army. Though the Egyptian Revolution has its sectarian dimensions, it does not have that “tribal” and “sect” element of the Syrian Civil War, at least not yet. 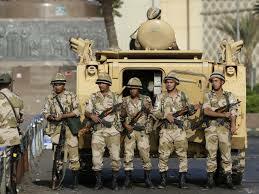 The majority of people actually “asked” the Egyptian military junta to step in. Bashar al-Assad’s Syrian regime was the target of protest for reform during the spread of the Arab Spring, not the motivating tool of such. Even though the Egyptian military is playing Fascist referee here, like Hitler’s Brownshirts did when he came to power, like Hitler, they do so with the tacit support of a vast majority of Egyptians. Hitler used emergency “enabling” acts to clear German streets of Red Communists with public approval, just like MB rioters and demonstrators are being swept away and arrested by the hundreds today, the thousands tomorrow, in Egypt. The MB can only save itself from returning once again to its terrorist and underground beginnings in Egypt by accepting their failed attempt at taking over Egypt and I do believe that sooner than you might expect we will see more moderate members appear and try to bring the movement back into dialogue with other factions. There is not much time for this shift of heart and I dare say it is even harder for the MB to view liberals and secularists as equals than it is for American progressives and Tea Party legislators to find a compromise. Yet they must in Washington in the next 18 months and within a month in Cairo or the MB will lose credibility like Communists in Hitler’s Germany. For all the right or wrong moves they will be judged as saboteurs and a force of chaos in a country teetering on becoming a failed state, as prophecies below will reveal. They can die in their hundreds and even their thousands in the coming week but the Muslim Brotherhood’s rebellion and protest will be crushed and any move to underground resistance will render them pariahs by the Egyptian majority. Their only way back to influence in Egypt’s future is to accept their ouster, accept the wrong direction Morsi took which was not the will of the majority and participate in the next chapter of the Egyptian Revolution. 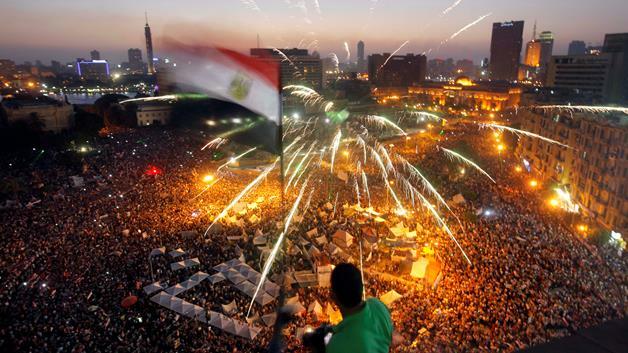 The future of the Arab Spring revolutions is the subject of Chapter 7 of Predictions for 2013-2014 called Arab Spring the Arab Fall (click on Egyptian predictions). So readers, I say this for the prophetic record and I say it categorically: the MB rebellion is not the beginning of a civil war; however, other troubles looming for Egypt are far more dire. It is a nation adding nearly a million new people every year to a thin green oasis of riverbank along the Nile in a mostly inhospitable desert country. It has no economy that can sustain its 80-million plus and exploding population. Global Warming is making desiccation of Egypt worse and countries along the Nile are all exploding with more people needing its waters upstream. This will lead soon to water wars as I wrote in detail in the chapter on Resource Wars in my new eBook. 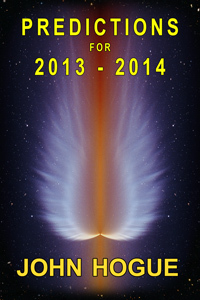 Click on the cover and read about this new and critically acclaimed eBook. 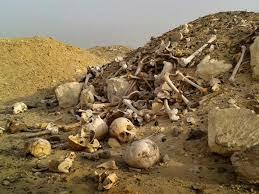 Secular or Islamic, the future government of Egypt faces the same fate. Egypt is not sustainable. 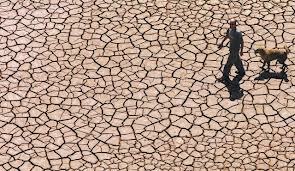 The heartland, the mother country of Arab culture will see climate change and overpopulation dry up its life-giving Nile. It was foreseen thousands of years ago by the Prophet Isaiah in Chapter 19 of the Old Testament. As in the case of Hellenistic seers like Hermes Trismegistus, this Old Testament prophet’s name was used by several people whose works were later consolidated, giving the illusion of one man. “First Isaiah” is primarily responsible for chapters 1-39, though changes in narrative style hint that some passages were penned by his disciples. This Isaiah of Jerusalem, as he is called, was an advisor to four kings of Judah: Uzziah, 783-742 b.c.e. ; Jotham 742-735 b.c.e. ; Ahaz, 735-715 b.c.e. ; and Hezekiah, 715-687 b.c.e. History remembers him as an eloquent religious moralist and poetic genius, speaking against political treacheries. These intrigues threatened the Southern Kingdom, Judah, by setting a course similar to the one that precipitated the conquest of the Northern Kingdom, Israel, by the Assyrian Empire in 721 b.c.e. What follows extracts of the First Isaiah’s Chapter 19 with my inserted assessments. The translation today is taken from End Time Headlines website. I have done my best to correct some of the odd punctuation in this translation, but it essentially rings true to the original scripture translations and is a markedly better version that most popularized King James Version. 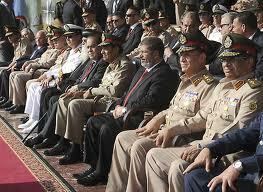 President Morsi (Center) in a crowd of military brass at his swearing in ceremony. …The spirit of Egypt will fail in its midst; I will destroy their counsel, and they will consult the idols and the charmers, the mediums and the sorcerers. And the Egyptians I will give into the hand of a cruel master, and a fierce king will rule over them,” Says the Lord, the Lord of hosts. If Isaiah is trying to understand the talking heads on TV, he might be describing the “experts” and the “bureaucrats”—the military junta of Egyptian generals, even—as the sorcerers, charmers and mediums of our modern media trying to sort the chaos that is Egypt today out. Then comes the cruel king, either a general like Mubarak waiting in the wings to bring Egypt under military rule again, despite all the protestations that the officers’ corps does not intend it. Or, the cruel leader is the Muslim Brotherhood’s President Morsi who, when given a minority mandate, took it as a sign from God that “HE” and not two-thirds of the Egyptian people wanted an Islamic fundamentalist republic following a severe interpretation of Sharia Law. I sometimes think the Muslim Brotherhood is akin to a mating of religiously extreme version of America’s Moral Majority, right wing evangelists with the more fascist-leaning members of the US Tea Party. In other words, those fringe Tea Party members who are definitely “not” into small government and Libertarian platforms but desire to govern everyone, including their religious practices, with an iron hand with a “my way or hell’s holy highway” attitude. The Egyptian people did not vote for that and the 26 million petitions to throw Morsi out really makes the so-called Egyptian Army coup a coup of the Egyptian majority. Though I am loathed often to support US hegemonic actions, the Pentagon, so desperate to keep its war market armaments profits flowing from the billions of dollars coming from Egyptian military armament purchases “does” have a loophole to call the coup “not a coup” and keep the arms flowing. 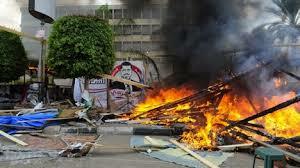 The Egyptian majority did call their army in to kick Morsi and the MB to the blood-soaked and bullet-riddled curb. There will be renewed attempts this autumn to establish a presidential-dominant parliamentary government and the Egyptian Army will step back after it is established with someone like Muhammad El Baradei is the next and secular, economic-centric president. Still, if we take the bulk of Isaiah’s Chapter 19 as a possible vision of Egypt’s future rather than a politicized propheganda prophecy using Egypt’s past collapse from 900 b.c.e. as his literary device, then Climate Change is the cause of Egypt’s near future collapse, not religion. 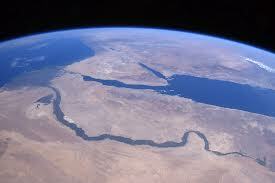 The Nile from space. 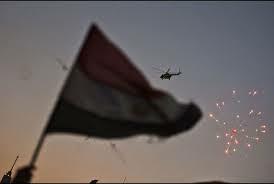 In that fragile fertile ribbon Egypt crowds 80 million people! The waters will fail from the sea, and the river will be wasted and dried up. The rivers will turn foul; the brooks of defense will be emptied and dried up; the reeds and rushes will wither. The papyrus reeds by the River, by the mouth of the River, and everything sown by the River, Will wither, be driven away, and be no more. The fishermen also will mourn; all those will lament who cast hooks into the River, and they will languish who spread nets on the waters. Moreover those who work in fine flax, and those who weave fine fabric will be ashamed; and its foundations will be broken. All who make wages will be troubled of soul. Surely the princes of Zoan are fools; Pharaoh’s wise counselors give foolish counsel. How do you say to Pharaoh, “I am the son of the wise, the son of ancient kings?” Where are they? Where are your wise men? 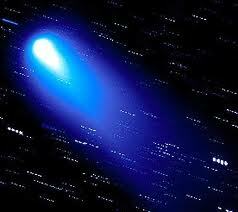 Let them tell you now, and let them know what the Lord of hosts has purposed against Egypt. The princes of Zoan have become fools; the princes of Noph are deceived; they have also deluded Egypt, Those who are the mainstay of its tribes. The Lord has mingled a perverse spirit in her midst; and they have caused Egypt to err in all her work, as a drunken man staggers in his vomit. Neither will there be any work for Egypt, Which the head or tail, Palm branch or bulrush, may do. It certainly sounds like a presage of economic, then national and cultural collapse transpiring as the sum total of chaos of leadership, bad planning and no good and wise president or dictator (Pharaoh). Then comes an outside scourge to match the scourge of political and moral mediocrity. The Nile soon after dries out in a planetary climate shift causing an apocalyptic collapse of the Nile river ecology, resulting in famine and collapse for Egypt whether a moderate Baradei and parliament or Islamic Brotherhoods mismanage and derail with Egyptian generals the longest lasting political state in history. All the “cradles” of civilization are poised to fall first from the oncoming planetary disaster of Climate Change whether they have lasted for five millenia like Egypt or not. However, there is hope here that Isaiah is reading his tea leaves stealing from ecological disasters past and not the near future. Isaiah, Chapter 20, in brief, turns our attention to Assyrian conquests and occupation of Egypt in near contemporary times. The conquest of proud Egypt “was” achieved because of a great drought that “did” happen, staring a few hundred years “before” Isaiah wrote the above passage in Chapter 19. Archaeological evidence supports that drought descended on Egypt for a few centuries in a regional climate change causing the Nile to nearly dry out ending around 900 b.c.e. This all but nearly ended the first kingdoms of Upper and Lower Egypt. The Assyrian Empire was spared this climate catastrophe spread across the Middle East and North Africa and exploited it to establish their greatest expansion. Eventually the climate improved. 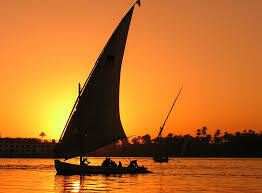 The Egyptians like the Nile revived. They threw off the yoke of the Assyrians and achieved an even greater empire afterwards while the Assyrians declined. A third possibility prophetically speaking is that Egypt past and present are contained in the repetition prophecies of Isaiah. The “Assyrians”, therefore, may be a metaphor masking the “Syrians” of modern days—a marker, if you will, that a spread of civil war out of Syria date the imminent fall of modern Egypt once again with the Nile drying out an unsustainable civilization. Muhammad Morsi, oh Morsi, Morsi Me! 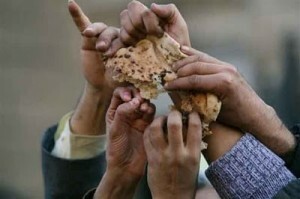 Egyptian demonstrators sharing bread during the Arab Spring 2011. Earlier today, Whitley Strieber and I finished taping the second of two Dreamland shows about the, “Breath before the plunge.” That is what I call the time between 1 May 2013 through end of December 2014, the period when the opportunity Saturn while still transiting Scorpio grants the world a chance to begin infrastructural, political and ecological reforms to stave off and moderate a decade of coming planetary disaster and civilized breakdown. 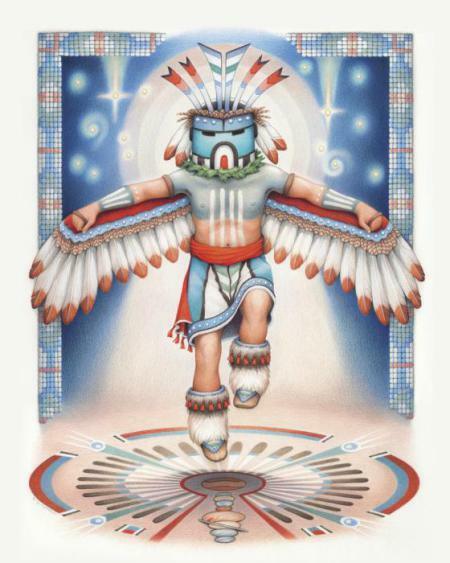 Predictions for 2013-2014 is a 131,000-word epic work of prophecies, future consequences and solutions that can be yours with a bonus chapter explaining how the great Comet ISON appearing later this year may be a sign of the Hopi Blue Kachina Prophecies marking the great purification, death and renewal of our world is at hand. You can receive this expanded edition with a gift donation of only $12.50 up to and through Labor Day (2 September) by clicking HERE. Please put “2013” in the Paypal memo box or send me an email stating 2013 on the subject line here: Contact.